If you have seen older advertisements for the dark Irish beer called Guinness, you may have seen the slogan “Guinness is good for you!” But is this really true, or was it just marketing? Surprisingly, it might actually be a bit of both. 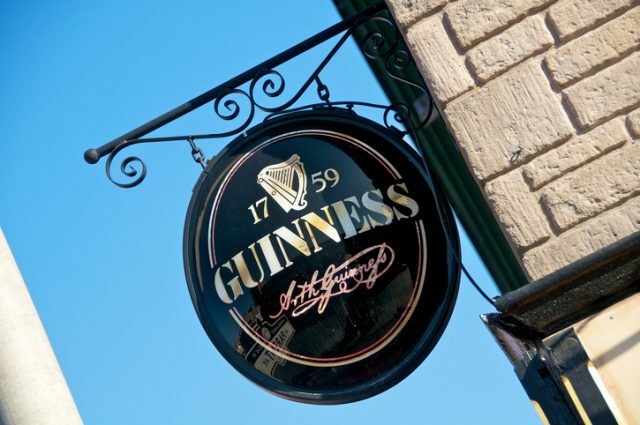 Since the slogan first appeared in the 1920s, Guinness has been touted as one of the “better” beers to drink. The initial saying “It’s a good day for a Guinness” began through word of mouth. It was not until 1928 when the first advertisements came out. The official color of “The Black Stuff” is ruby red. The slight tint can be seen if you hold your glass of Guinness up to the light. As part of the marketing research, beer drinkers were asked why they chose Guinness over another drink. The vast majority (9 out of 10) said that it was because Guinness was good for them, and made them feel good. 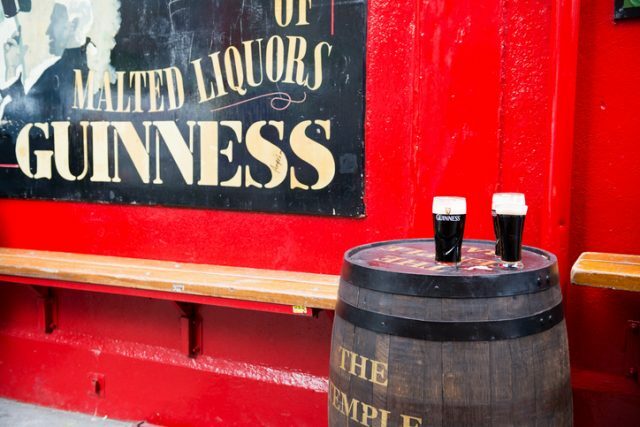 According to Guinness ambassador Domhnall Marnell, “We already had this reputation in the bars before we uttered a word about the beer.” The ads that included “Guinness is good for you” and “Guinness for Strength” were used until the 1940s. Guinness used to be recomended by the family doctor to pregnant or nursing women, but you’d actually need to drink three pints of Guinness to provide the same amount of iron as a single egg yolk. It turns out that the iconic black and white stout actually has high levels of antioxidants, which can help reduce blood clots and the risk of heart attack, according to a study done at the University of Wisconsin. Beer overall has even been shown to have some health benefits, particularly with regard to getting a better sleep, promoting relaxation, and reducing one’s risk of stroke, but in moderation, of course. Up until November 2009, blood donors in Ireland were offered a free pint of Guinness. University of California brewing sciences professor Charlie Bamforth has stated that many beers not only contain high amounts of antioxidants, but also other healthy elements, such as B vitamins, silicon, which helps prevent osteoporosis, and probiotics, to keep your gut in good form. Guinness has also been found to contain folate, which our bodies require to make DNA and other genetic material. 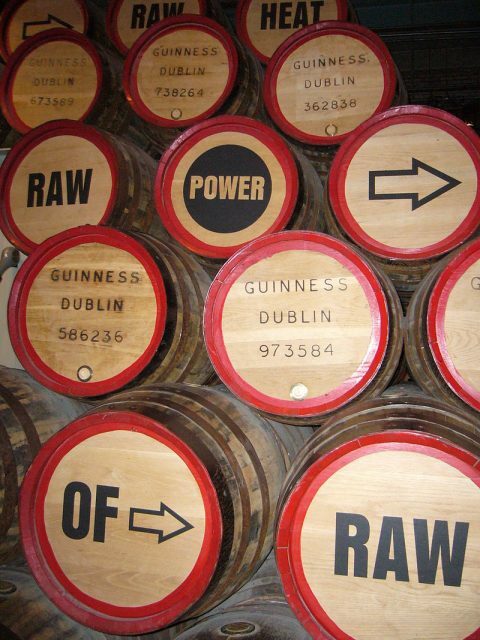 Stouts like Guinness contain, on average, around 3.2% of our daily allowance of folate. Professor Bamworth has also found that, since it is made from a lot of unmalted barley, Guinness has one of the highest levels of fiber among other beers. 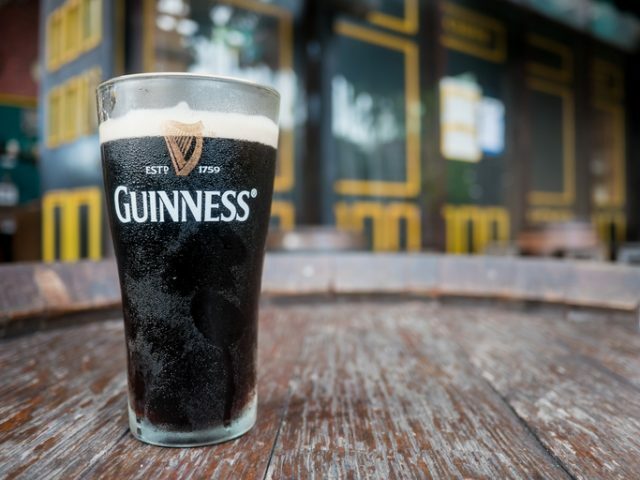 Guinness is also high in iron, containing 0.3mg of iron per beer, or roughly 3 percent of an adult’s daily-recommended dose (although not nearly as much as things like spinach). Because iron is an important component of a substance in red blood cells called hemoglobin, Guinness was, at one point, given to postoperative patients, pregnant women, and women who had just given birth, as it was also believed to increase a new mother’s milk supply. 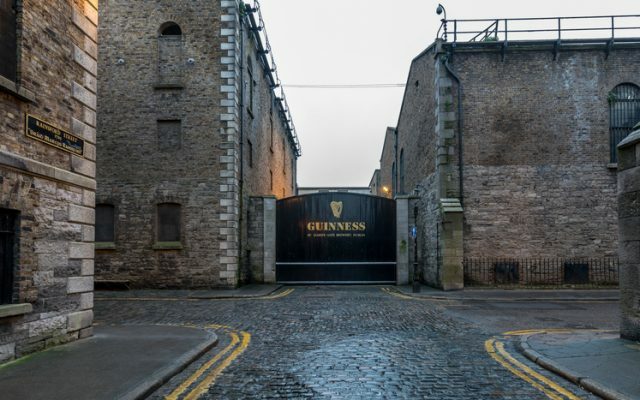 The St. James’s Gate entrance to the Guinness brewery. Some studies have indicated that beer can increase the production of prolactin, which is a hormone required for milk production. However, other studies have shown the exact opposite, and Marnell, the Guinness ambassador, does not recommend that anyone who is pregnant or nursing consume any of their products. 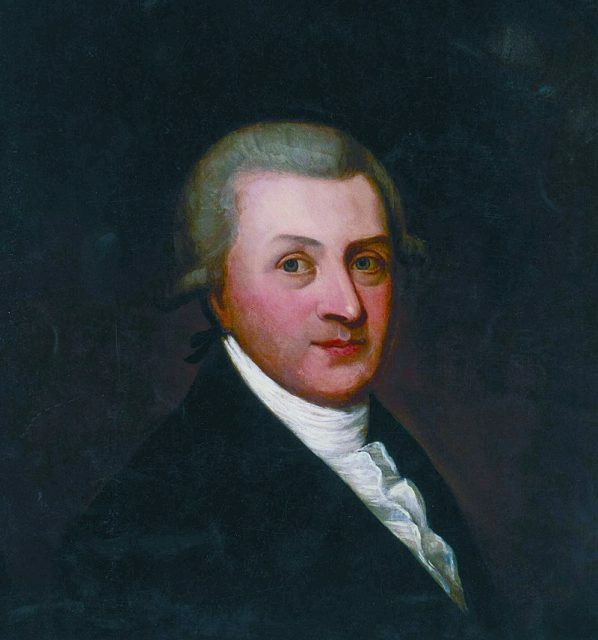 Arthur Guinness, founder of the Guinness brewery business. Until 2009 in Ireland, a glass of Guinness was given to volunteers after donating blood, along with the choice of crackers or cookies. 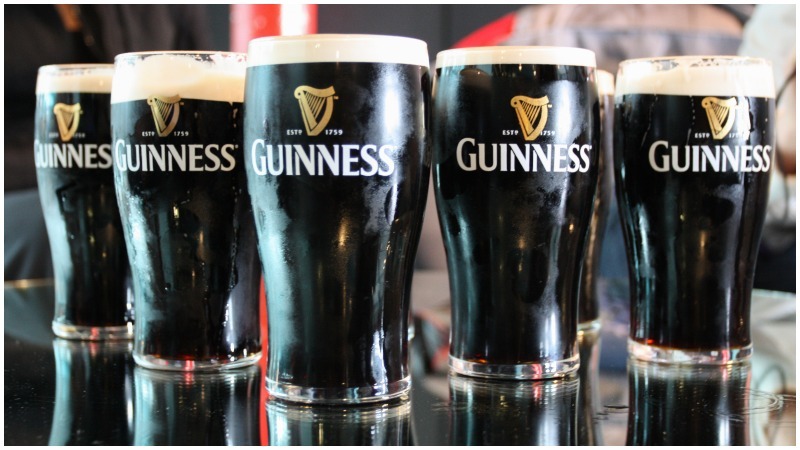 The iron in Guinness was thought as a good replacement for the loss of blood. However, the program was scrapped after the legal blood alcohol limit was lowered. That, and getting in the car after giving blood and then downing a pint was not necessarily a good message to send. 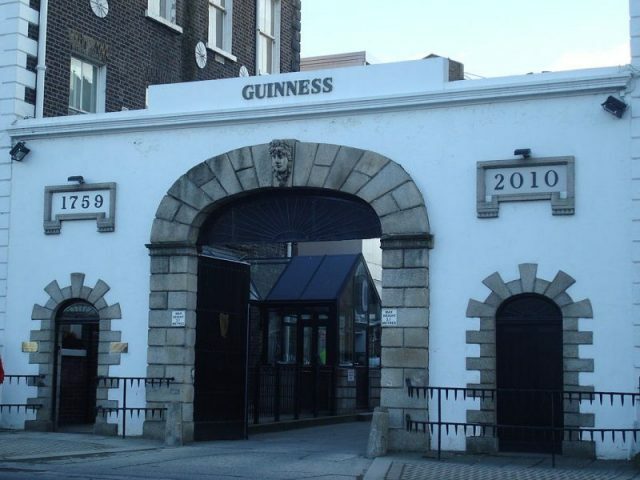 Gate to the Guinness Brewery in the St. James Gate Area, Dublin. It is commonly believed that Guinness, with its rich-looking, creamy foam, is a high-calorie beverage. However, compared to other beers, it actually has fewer calories. Whereas a 12-oz serving of Heineken has 142 calories, a draft serving of the same size of Guinness has only 125. One other benefit of Guinness over other beers: it is lower in alcohol. Many beers on the market contain around 5% ABV (alcohol by volume), whereas Guinness has only 4.2%.